Many people are familiar with a will – it contains instructions to their loved ones on managing their affairs upon death. But what happens in the event when you lose mental capacity, and cannot make decisions nor manage your affairs by yourself? You risk having your financial assets frozen, since your loved ones cannot access them without your consent. Various institutions may not recognise decisions that your loved ones make for you, causing them unnecessary frustration and hardship. To act for you and manage your affairs, your loved ones will have to apply to become your deputy through the courts - an expensive and tedious process. Furthermore, you have no say in who becomes your deputy. Are there other alternatives for you and your loved ones? 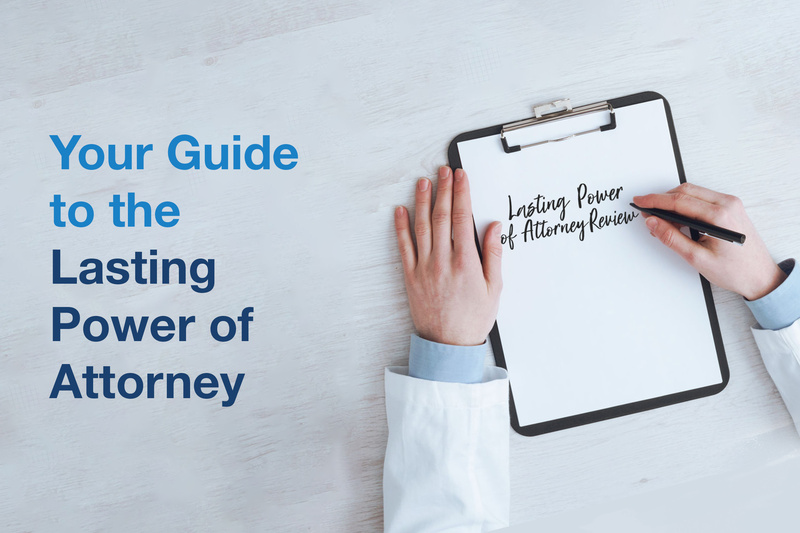 This is where the Lasting Power of Attorney (LPA) comes in. Broadly speaking, an LPA is a legal document which allows a person (donor) who is at least 21 years old to appoint one or more persons (donees) to make decisions and act on his behalf should he lose mental capacity. The LPA comes under the Mental Capacity Act, which covers a wide range of decisions made for, and actions taken on behalf of a person lacking mental capacity. This includes decisions about day-to-day matters, such as what to eat and wear, as well as major decisions such as moving house and undergoing surgery. The Act does not legalise nor provide for euthanasia. Creating an LPA has multiple benefits. You can choose who will act on your behalf should you lose mental capacity. They can manage your affairs for you immediately without going through the courts to apply for deputyship. Compared to creating an LPA, the process of becoming a deputy is more tedious and costly. You can choose between two forms when creating an LPA: LPA Form 1 or LPA Form 2. Your choice will depend on your needs. Powers Granted Grants a broad range of powers with basic restrictions to your donee(s) to fully act in your best interests, subjected to the Mental Capacity Act. Powers granted to donee(s) are customisable, subjected to the Mental Capacity Act. Who Can Witness and Certify Accredited medical professionals, registered psychiatrists, and lawyers. Lawyers only. Number of Donees Up to two donees, and one replacement donee. No limit. According to the Office of Public Guardian (OPG), 98% of Singaporeans who have created an LPA use the LPA Form 1. You are required to appoint at least a donee who is 21 years old and above, and not an undischarged bankrupt. Make sure your donee(s) is trustworthy and competent enough to act in your best interests, as well as willing to take on the responsibility of doing so. Personal Welfare. This includes your day-to-day needs, such as where you stay, your lifestyle, whom you have contact with, and your care. Property and Affairs. This includes decisions related to your personal finances, managing your bank account(s), property, and other assets. You can specify if your donee(s) can make decisions in either or both areas. Jointly and severally. Your donees can either act on their own, or together. For instance, if you are hospitalised and the doctor can only get in touch with one of your donees, that donee can make a decision about your care without the other being in agreement. Jointly. Your donees need to come to all decisions unanimously. Using the above example, the donee whom the doctor contacted cannot make any decisions about your care, because all donees need to agree on the decision being made. The law will assume your donees will act jointly if you did not indicate your preference. If your donee(s) are unable to act for you for reasons stated in the Mental Capacity Act, the replacement donee(s) can immediately take over his or her duties. If you are using the LPA Form 1, you will only be able to appoint one replacement donee. You should discuss these arrangements with your donee(s) and your loved ones, so everyone is aware of your donee(s)’ responsibilities, and they can work together to protect your interests should you lose mental capacity. Accredited Medical Professionals (e.g. general practitioners) Suitable for those who fully understand the risks and obligations of creating an LPA and have no legal questions. Raffles Medical has accredited doctors who can certify your LPA. Registered Psychiatrists Suitable for those with fluctuating mental capacity, possible or diagnosed mental health issues, or in the early stage of dementia. In the situation where someone challenges that you lacked the mental capacity to create an LPA, a psychiatrist can ascertain your mental capacity at the point when you signed it. Note: The psychiatrist will not be able to provide legal advice. The professional fees for the engaging the Certificate Issuers will differ. Generally, the more complex your instructions and needs are, the higher the cost of engaging the Certificate Issuer. You may already be starting to plan for your retirement. You should also do the same for your future care. According to the Alzheimer’s Disease Association, the number of people aged 65 and above is expected to reach 53,000 by 2020. The number is expected to increase to 187,000 by 2050. Likewise, life is unpredictable. We don't know when an accident may befall us, robbing us of our mental capacity. It's never too early to start putting safeguards in place for any mishaps or illnesses that may take away your mental capacity. Creating a LPA is relatively hassle-free. You will also be assured that someone you trust can immediately manage your affairs and make decisions on your behalf.